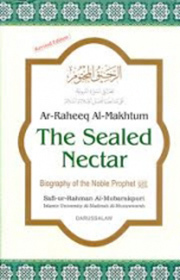 Beyond a shadow of doubt, the biography of Prophet Muhammad (Peace be upon him) manifestedly represents an exhaustive embodiment of the sublime Divine Message that he communicated in order to deliver the human race from the swamp of darkness and polytheism to the paradise of light and monotheism. An image, authentic as well as comprehensive, of this Message is therefore only attainable through careful study and profound analysis of both backgrounds and issues of such a biography. In view of this, a whole chapter is here introduced about the nature and development of Arab tribes prior to Islam as well as the circumstantial environment that enwrapped the Prophet’s mission.